Most luxurious villa 750sq.m in a plot of land 4.000sq.m built in 2006. 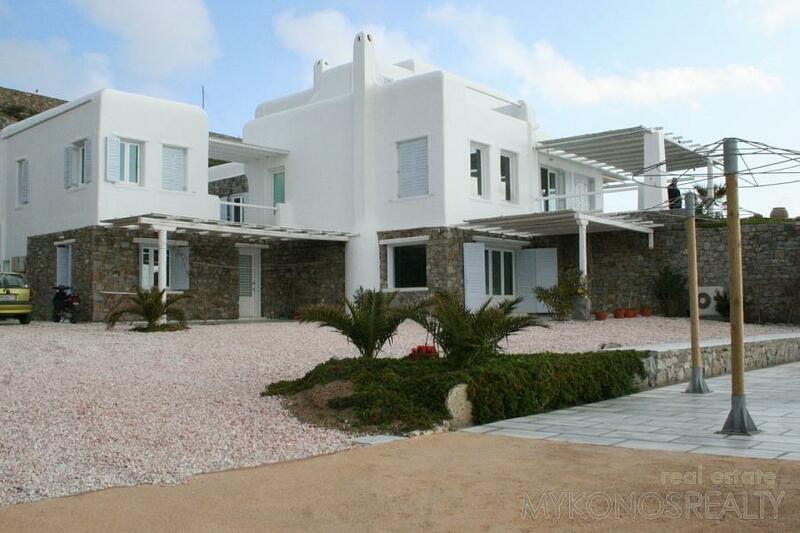 The villa is located in Tigani one of the most beautiful and quiet areas of Mykonos and it is built according to traditional, Mykonian architecture, in austere and simple lines, and it is separated into two houses. The villa is perfectly laid out and decorated. There are large verandahs with pergolas and a big pool with umbrellas and sun beds. Spectacular panoramic uninterrupted view to the Aegean Sea, Ikaria and Fournous, Paros and Naxos. There are 8 big and spacious bedrooms, each one with its bathroom. The master bedroom is especially big and has utility rooms like dressing room etc. There are two big living rooms with a fire place and WC. They correspond directly to their respective dining room and a kitchen, distinctly separated. There is a servant's room with bathroom, washing room, storage room, bbq, parking place. The garden, the pool, every corner of the plot is very well kept. The house is equipped with all necessary appliances for a modern home, and has furthermore satellite TV, internet lines, dvd player, alarm system etc. Services for rooms and kitchen are offered. For rent 3.000€/day.